Growing up in India, I remember the first quarter of the year being rather festive. Baisakhi, Basant Panchami, Gangaur, Holi- all seem to partly celebrate the end of winter and the onset of spring when new life emerges. As an adult, now living in the beautiful Pacific Northwest, after a long dreary winter, spring continues to be an exciting time of year. It’s a period of frequent balmy strolls, where my energetic preschooler and first grader soak in the stunning sprays of cherry blossoms, and marvel at freshly sprouted shoots and blooms. Indeed, this time of year is one of wondering, wandering, and discovering. However, it’s also a time of pondering. As spring unfolds and Earth Day is merely a month away, for me, it’s an opportune time to sit down with my boys to think about and discuss our relationship with the environment. Ever since they were babies, my two go-to books have been The Giving Tree by Shel Silverstein and The Little House by Virginia Lee Burton. I like these books for a variety of reasons. For starters, the illustrations in these two books are starkly contrasting. The Giving Tree has basic line drawings and The Little House has colourful, detailed visuals. This makes it interesting to look at and compare the different sets of imagery. The story-line of both books is simple and poignantly “humanises” the tree and the house, making their respective narratives impactful. Since the stories are nuanced, I appreciate how children across ages can appropriately utilise these books pretty much from babyhood to well into elementary school. As children grow and their cognitive abilities evolve, they are able to comprehend the layered complexities presented in the narrative. As they master the art of reading, children can start reading the stories by themselves. At my stage in life, it’s a bonus when the older sibling can read to the younger one(s)! Most fascinatingly, both present numerous topics that could foster rich dialogue between adults and children as we gently explore nature’s offerings, our responsibility towards, and our relationship with the environment. 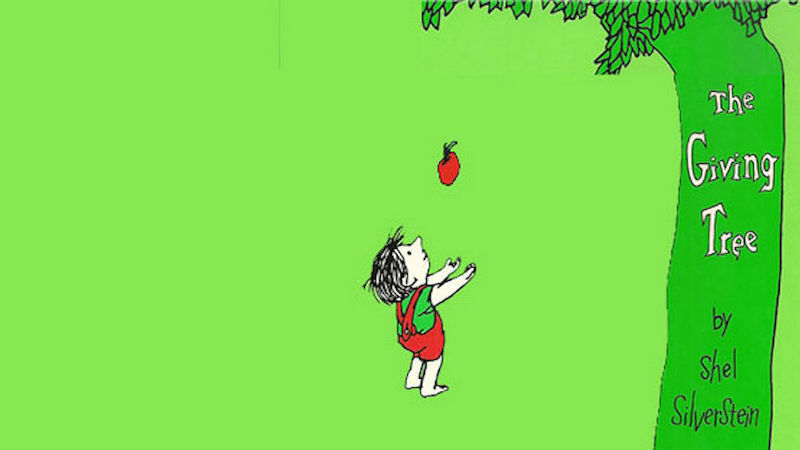 The Giving Tree is the story of the lifelong relationship between a boy and an apple tree. At every stage of his life, the tree gives the boy what he needs. As a little child, the tree provides him with a place to play, climb and nap in the shade. As an adolescent, the boy and his sweetheart seek solitude in the tree’s refuge. To an ambitious young man, the tree offers her bountiful apples, so he can sell them and start a life. Later the tree offers her branches, so the boy can have a roof over his head. When the jaded boy returns to the tree as an older man ready to get away from it all, the tree proffers her trunk, so that he can build a boat and sail away. For us, this straightforward, short, easy-to-read story is a strong reminder of nature’s generosity that is often taken for granted. Trees give relentlessly as we take thanklessly. The narrative powerfully reminds both adults and children to respect nature and be mindful of its bounty. The Giving Tree is sweet and emotional, all at the same time. For instance, the tree feels a sense of emptiness, like a parent might, as the boy grows and life’s commitments cause him to spend less time with the very tree he used to love so much as a little boy. Additionally, the narrative sparked several philosophical dialogue exchanges between my boys and me. The personification of the tree effectively makes the tree’s feelings (happiness, sadness, loneliness, etc.) tangible. The subliminal takeaway is apparent. Trees are living beings with feelings. During one of our recent walks, it was heartening to see my preschooler politely request a friend to not pluck leaves, because it hurts the plant. While I know this sentiment came from The Giving Tree, I am sure we did not actually discuss the point at all. Guess, I’ll attribute it to the power of Silverstein’s narrative in that case! The Little House is a story about the changing situation of a house, as her idyllic countryside metamorphosises into a busy metropolis. When she started out, the little house was perched on a hill with verdant lawns, ponds and fruit trees. She’s happy to experience nature, changing seasons and the phases of the moon. As time goes by, her surrounding gets more urban and industrial. A road connects the countryside to the town, people get busy, “horseless carriages” take over, apartments buildings and tenement houses crop up everywhere, subways and train stations are built. A concrete jungle envelops her, suffocating her. The original inhabitants leave and she’s no longer the pretty pink she used to be. She is reduced to a shabby, sad state of grey. When she has lost all hope, the little house is, at last, rescued by the “great-great-granddaughter of the man who built the little house so well.” She is jacked up on wheels and moved to another countryside location. Once again, she’s perched atop a hill with fruit trees and open spaces. At long last she’s smiling and spends her time, as she used to, watching the seasons change. When critically interpreted, this heart-rendering story draws parallels between The Little House and the environment. 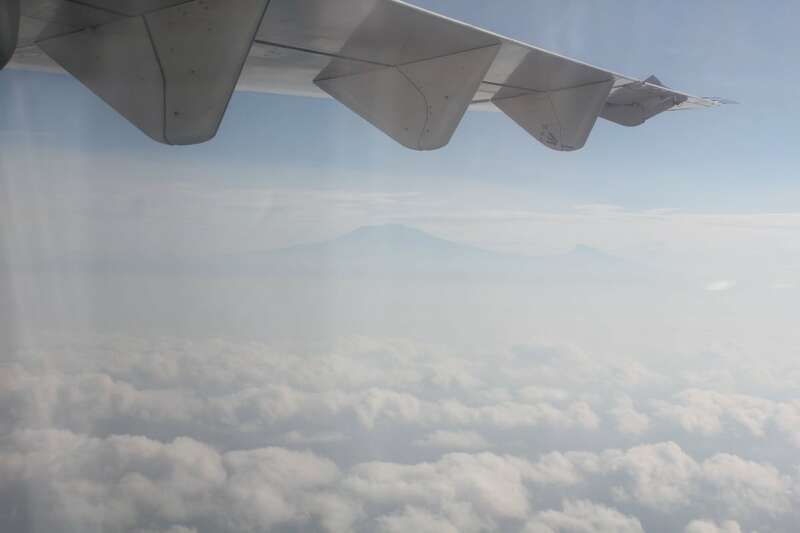 How generations of unchecked deforestation and urbanisation chip away at nature reducing its rosy abundance to barren sterility under a hapless sombre sky. Just like The Little House experienced. Unlike the more seemingly spiritual discussion inspired by The Giving Tree, the themes presented by The Little House were less abstract and directly related to the impact of human interactions with the environment. Clearly, the little house’s changed circumstances were a result of “progress”. But does it have to always be at the cost of the environment? Progress in the industrial sense, as depicted in The Little House is rampant today more than before. However, while progress is a necessary evil, it can certainly be more responsible. Today, environmentalists and scientists are developing cutting edge technology to make progress truly sustainable. For instance, it was fun exploring and learning about alternatives to fossil fuels in the form of wind and solar energy with the boys. Not to mention the fascinating science behind it all! Even children can play a vital role in helping the environment. That’s one of the many discussions we had after reading the story of The Little House. It’s fun to brainstorm and make a list with simple steps like turning off lights when we leave a room, not wasting food or water, using both sides of a paper, recycling, etc. It’s no secret that spending time outside is healing. It’s calming, a mood lifter and recharges frayed nerves. That’s true for both adults and children alike. So why not spend time appreciating and enjoying it! As mentioned earlier, The Little House is indeed a visual treat. Through its vibrant illustrations, children can gain an appreciation for the beauty and bounty of nature. How seasons change and the life each brings with it… Hopefully, today’s true nature aficionado will likely value his/her environment in the future. For us, the wonderful themes presented in both, The Giving Tree and The Little House have led to nuanced discussions that go beyond purely cherishing the environment. They make it delightfully palpable even for children that our actions have long-lasting effects on the ecosystem. These simple stories tenderly, yet steadfastly drive home the importance of compassion towards the plant life. At a more subliminal level, it’s about understanding the unwitting callousness of physically hurting something that is helpless and can’t say no. Thinking about trees and plants as creatures with “feelings”, and our responsibility towards them is fundamental. For little ones, it adds yet another layer of deeper thinking, empathy and respect for the environment. Hopefully, motivating them to concretely practice these profound, yet innately human sentiments through thoughtful actions now and in the future. This is our first monthly column on children’s literature, designed to help you choose entertaining but educational books for your toddler. Each month, Nidhi will discuss 1-2 books that she has read with her children and what they’ve learnt from them. A new column will release on the last Tuesday of each month, so do keep an eye out for it, or better still, subscribe to the newsletter, and get it delivered straight to your inbox. Have you read The Giving Tree or The Little House? 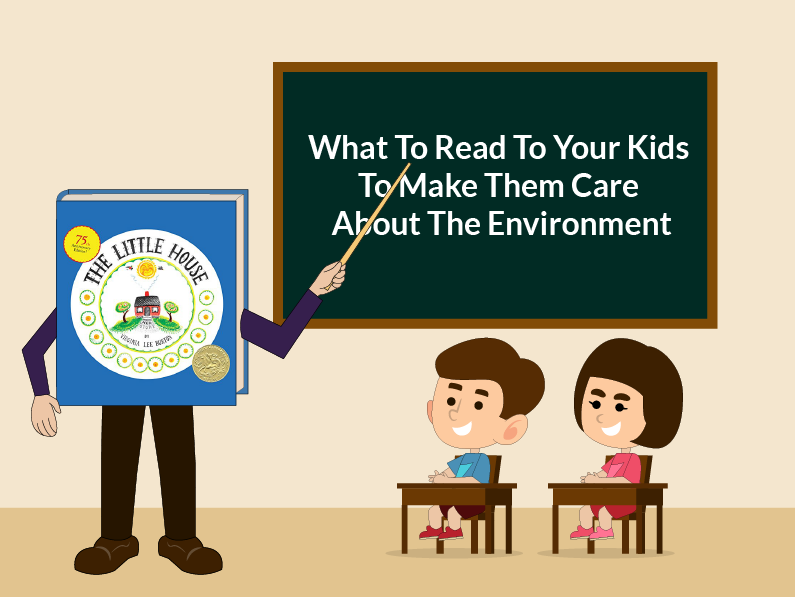 Do you think it’s important for children to learn about the environment from a young age? Share with us in the comments below. Nidhi is an avid traveller and reader. A sushi and yoga lover. Her 'pre-kids' life was spent in the ever-dynamic field of Communication Sciences. After which, she chose to be a fulltime mom. Reading and playing with her two high energy boys has been a fascinating journey. They have (re)kindled in her a sense of wonder in all things small. Children’s literature has been an inspiring new discovery for her. She’s constantly seeing the world through little eyes, applying simple learnings to deepen life’s meaning for herself and her family.